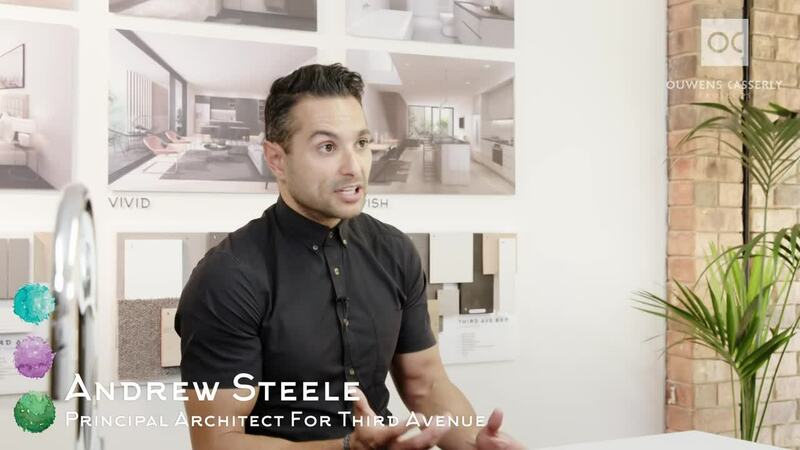 Principal Architect Andrew Steele tells us why masterplanned design is important and how it affects the overall development. “It was one of the key design drivers for this overall project, was to how to unlock the true potential of the site and harness the benefits of good, passive deign principles right the way through the project. So we’ve been really conscious, and in those workshop sessions with our client, it’s been a lot of rigor placed around how we really maximise natural ventilation; a lot of products here are obviously multi-leveled dwellings so making sure that there’s opportunities for the occupants to be able to control the need for passive ventilation.